William Leroy Laine, 82, died peacefully at his home on November 1, 2013. He is survived by his wife, Beverly Henry Laine, his children, William ?Bill? Laine (Kelly), Sandra Laine, John Laine (Nicole), Sheri Power (Ed) and Michael Laine Enger, sisters, Joyce Rude and Susan Donnell as well as many grandchildren and great grandchildren. He was a long time member of Teamsters Union #83 and Operating Engineers Unios #428. 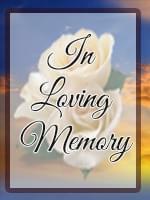 In lieu of flowers, please make a donation to Hospice of the Valley, 1520 E. Flower St., Phoenix, AZ 85014. A private service will be held at a later date.